Oh you guys…..you know how I’m all about the toppings & dips?! I have said it before & I’ll say it again- more is more for me when it comes to desserts, treats & all things yummy. I like creating a masterpiece when it comes to what I put on my plate or in my bowl. You should see me when I go to the frozen yogurt place – so many choices & my bowl is overflowing with all the toppings. I typically go for the standard hot fudge, marshmallow cream or caramel when it comes to what I’m going to drizzle. Buuuut – then I had this craving for something berry. 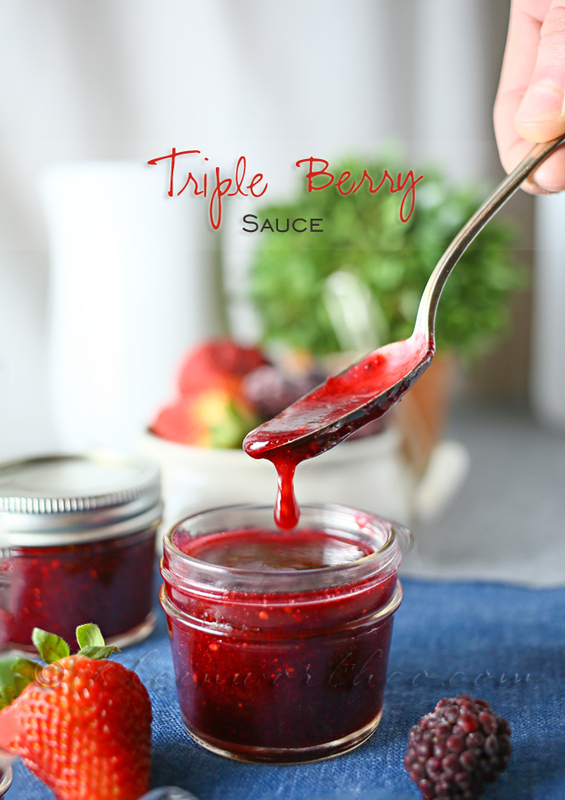 I couldn’t decide which berry I really wanted – so I came up with this Triple Berry Sauce that hit the spot perfectly. 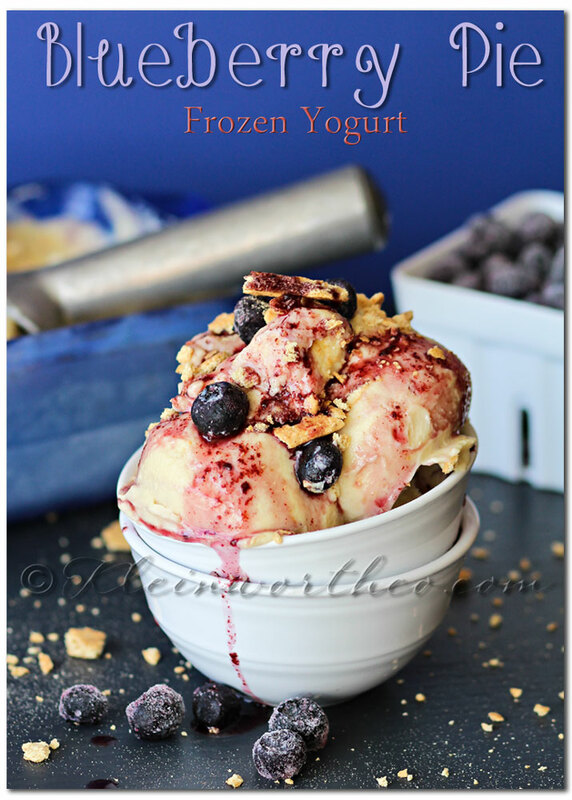 I put blueberries, blackberries & strawberries in there – YUM, YUM YUM!! This works great for more than just a topping though. 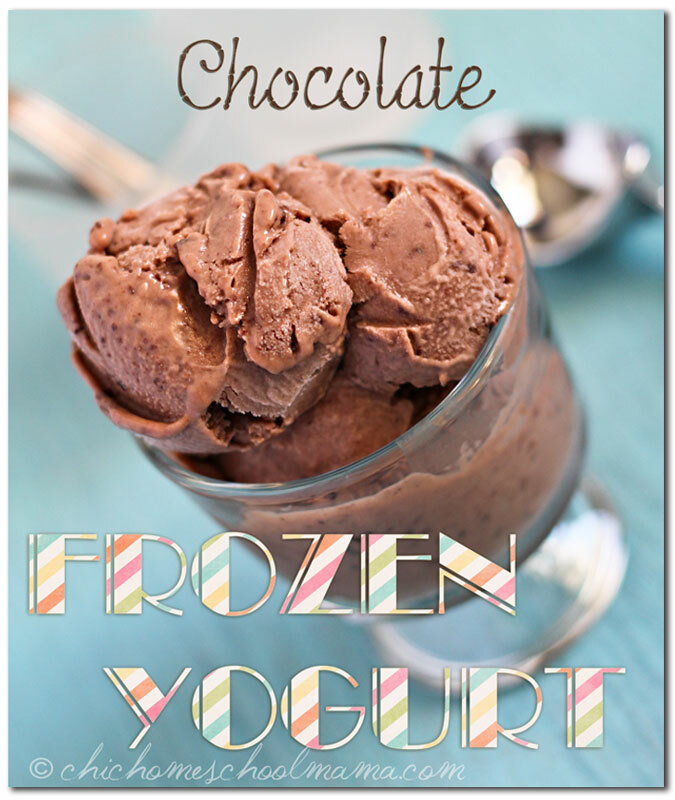 Add it to a smoothie, add it to your pancakes or waffles, dip something tasty in there. I’m telling ya’ – it’s all good. Cool to room temperature before transferring to jars. Want some ideas for what to put it on? Try these! 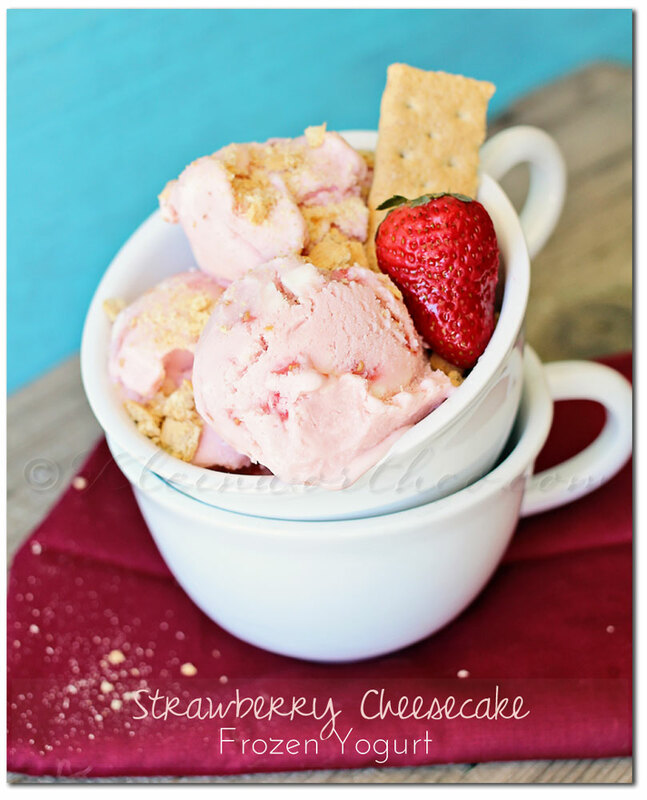 I make this all the time as a topping for deserts! Yum! 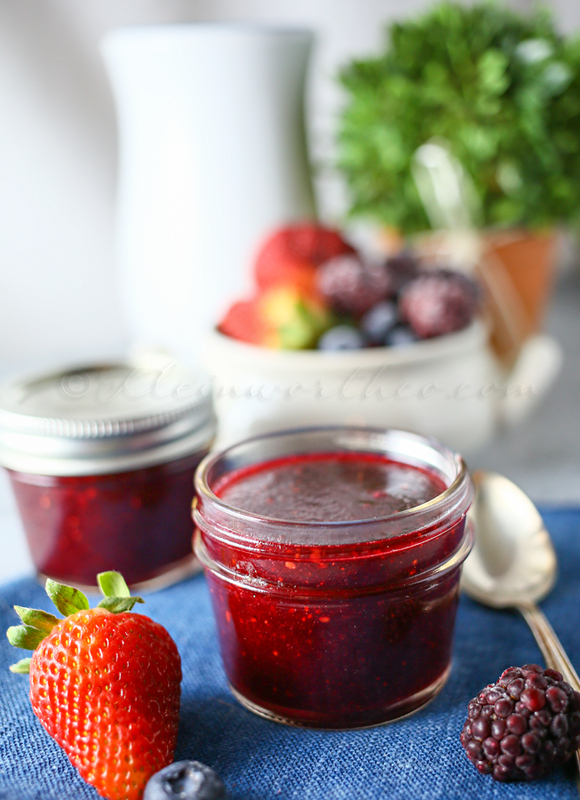 I’m thinking this would be a great use for all those berries we are sure to pick this summer. Such a simple topping, but full of flavor! 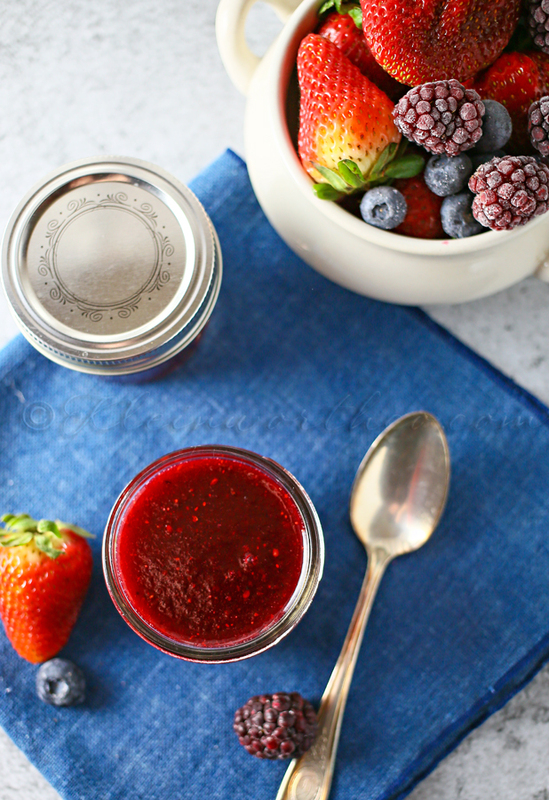 Three types of berries= triple delicious! This looks amazing, beautiful photos. I think this would be perfect as a topping for so many different things. Yum! Loving the food photography as well, very nice! Would totally love this sauce on top of a big bowl of ice cream! 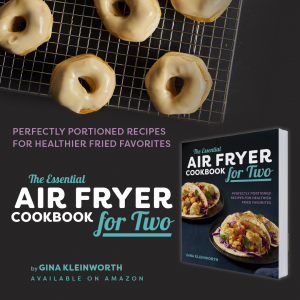 Looks so delicious – have pinned. Stopping by from Weekend ReTreat. Have a wonderful holiday weekend! 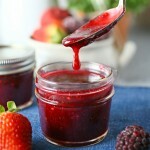 This berry sauce looks delicious – look forward to trying it. 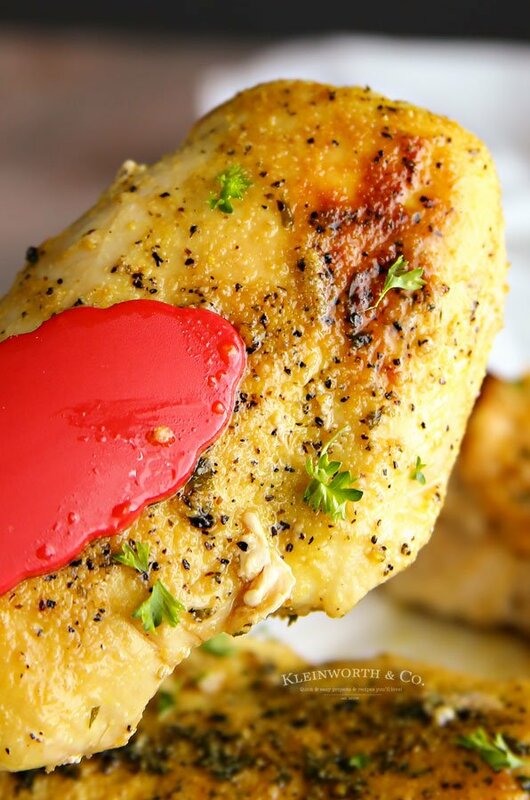 Holy Moley ~ that is some divine looking sauce! I can’t only imagine how awesome it tastes on Southern pound cake! Thanks so much for sharing at Show-Licious Craft & Recipe Party! Well that certainly sounds amazing Ashley – thanks! !